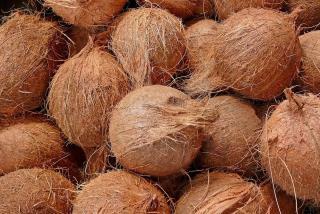 Monty Python - I've Got A Lovely Bunch Of Coconuts Lyrics! I've got a lovely bunch of coconuts There they are, all standing in a row Big ones, small ones, some as big as your head Give them a twist a flick of the wrist Thats what the showman said I've got a lovely bunch of coconuts Every ball you throw will make me rich There ya go ALL!! I'm coocoo for cocoa puffs! weed? who cares its practically legal.